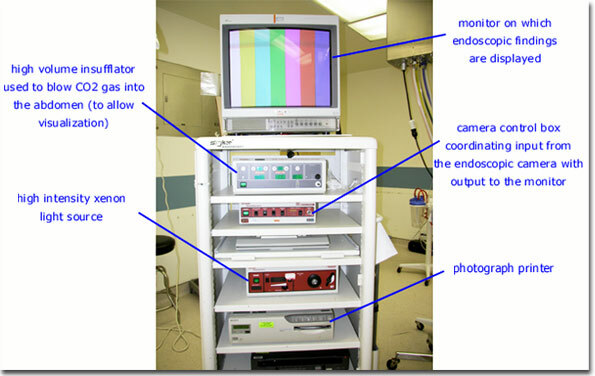 In this photograph highly specialized equipment is arranged within an instrument cart (on wheels) that is used during laparoscopy and hysteroscopy. Two or more monitors are usually set up during advanced operative laparoscopy and hysteroscopy cases so that the nursing staff as well as the surgeon can continuously view the progress of the case. Several tubes, cords and wires run from this equipment cart to the surgical instruments on the patient during the actual surgery.